You represent the manufacturer of machine parts. Your client recently learned it has been named as a defendant in a lawsuit initiated by a consumer class for injuries allegedly sustained during use of a machine that was manufactured with your client’s parts. The manufacturer of separate but interrelated parts used in the machine has also been named as a defendant. Fast-forward one month and your client has been served with cross- claims by the manufacturer of the inter related parts, seeking both common-law indemnification and contribution against your client for the manufacture of allegedly defective parts. Your client seeks an initial assessment of the third-party claims. New York law applies. This article provides an in-depth discussion of the concept of common-law indemnification, using New York State to illustrate how the law has evolved in that state, from the inception of contribution as an available remedy through the present day interpretation by the courts. Although this concept by definition derives from the “common law,” practitioners should be aware that many states have their own peculiarities that must be identified at the outset of any litigation so that an appropriate strategy can be devised. The concept of “common law” or “implied” indemnification was redefined more than 40 years ago when the Court of Appeals introduced the remedy of contribution into New York jurisprudence in the seminal case of Dole v. Dow Chem. Co., 30 N.Y.2d 143 (1972). Prior to Dole, the common law required that the tortfeasor selected by the injured party for suit would have to avoid liability altogether or be forced to assume liability in its entirety, without recourse against any others who may have contributed to the injury. In essence, the plaintiff could choose whether to hold one or more parties liable for its injury, and which party or parties it would pursue. Over time, the courts developed an “active-passive” test that represented an abandonment of the strict common-law construction. Pursuant to that test, complete indemnification was available to a party that was determined to be only “passively” or “secondarily” negligent against a party that was determined to be “actively” or “primarily” negligent. Complete indemnification was available in this context, rather than an apportionment of liability, because of an unwillingness under the common law to make relative value judgments regarding degrees of culpability among wrongdoers. However, the “active-passive” test proved difficult to apply, and the courts began to re-examine the equities involved. The Dole court found that since application of the active-passive test required consideration of relative fault, it would be effective to take the extra step and consider the actual percentages of fault, apportioning those out among joint tortfeasors based on relative responsibility. That apportionment is the remedy known as contribution. Contribution involves an apportionment of responsibility that requires joint tortfeasors to pay a proportionate share of the loss. Each of the wrongdoers owes a duty to the injured party, and it is a question of the degree of responsibility each wrongdoer must bear for causing the injury. Where a party is or can be held liable at least partially because of its own negligence, contribution is the only available remedy. 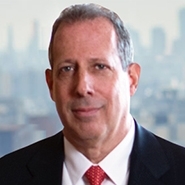 Glaser v. M. Fortunoff of Westbury Corp., 71 N.Y.2d Practice Tip: Common-Law Indemnification LJN’s 643, 646 (1988); Rosado v. Procter & Schwartz, 66 N.Y.2d 21, 23-24 (1985). “A contribution situation exists even if distinct duties and different theories are used to recover against joint wrongdoers.” County of Westchester v. Welton Becket Assocs., 102 A.D.2d 34, 46 (2d Dep’t 1984), aff’d 66 N.Y. 2d 642 (1985) (citations omitted). Id. at 47. For example, an employer may be held vicariously liable for the wrongdoing of his employee, a principal may be held responsible for the actions of its agent, or an owner of a vehicle may be held liable for the tortious operation of its driver. See Id. “Where one who has committed no actual wrong is held vicariously liable for the wrongdoing of another, he has a right to indemnification from the actual wrongdoer.” Id. (citations omitted). In the “classic indemnification case,” the one seeking indemnity “had committed no wrong, but by virtue of some relationship with the tortfeasor or obligation imposed by law, was nevertheless held liable to the injured party.” Glaser, 71 N.Y.2d at 646 (citations omitted). However, the prevalent use of outdated dicta and loose language in post-Dole decisions has led to significant confusion over what constitutes indemnification versus contribution with serious ramifications for the unwitting tortfeasor. A recent example arose out of the United States District Court for the Southern District of New York. Anderson v. Greyhound Lines, Inc.
On Aug. 28, 2006, a passenger bus owned and operated by Greyhound Lines, Inc. (Greyhound) was involved in an accident in the Adirondack region of New York, near the town of Westport. The bus, carrying 52 passengers from New York City to Montreal, Canada, was proceeding northbound on Interstate Highway I-87. The left front tire on the bus was manufactured by the Goodyear Tire & Rubber Co. (Goodyear). This tire had previously run over a sharp road hazard, sustaining a puncture that had not been repaired. The puncture resulted in a slow air leak. While descending on a steep 5% downgrade on I-87, at approximately 78 miles per hour, the bus attempted to pass a tractor-trailer that was in the right lane of the two-lane roadway. At this point, the tire failed as a result of over-heating caused by the undetected slow air leak. The National Transportation Safety Board (NTSB) conducted an investigation of the subject incident and found no defect in the subject left front tire. Numerous individual actions were filed by passengers who had been injured in the action — against Greyhound only. More than one year later, a consolidated pleading was filed in which Goodyear was added as a direct defendant. Greyhound brought cross-claims against Goodyear for, among other things, indemnification and contribution based on product liability and negligence as to the design and manufacture of the tire. The plaintiffs’ actions against Goodyear were ultimately discontinued with prejudice. Greyhound, however, paid money settlements to all plaintiffs who, in turn, released Greyhound from liability. In light of Greyhound’s settlement with each of the plaintiffs, Goodyear moved for dismissal of Greyhound’s cross-claims as a matter of law. To get around the contribution bar, Greyhound also claimed that it was entitled to “common law indemnification” from Goodyear. Aware that there was no special relationship between it and Goodyear giving rise to the “traditional” common-law indemnification scenarios, Greyhound instead argued that common-law indemnification is not limited to vicarious liability or non-delegable duty scenarios, but rather is extended under New York law by notions of “fairness” to prevent some “unjust or unsatisfactory result.” In essence, Greyhound argued for application of the “active-passive” test that was abandoned in Dole. In support of its position, Greyhound pointed to a case coming out of a New York federal court after Dole which, upon first blush, appeared to support its argument, making reference to outdated dicta regarding “primary responsibility.” In addition to these dicta, Greyhound also placed heavy reliance upon a court of appeals’ decision in which the City of New York sought indemnification from a product manufacturer related to a settlement the City paid to a Department of Sanitation worker. Greyhound contended that it too had settled (with no finding of fault) and was entitled to shift its entire loss (the settlement amount) to Goodyear. While some confusion was clearly evident in the post-Dole dicta, the current state of common law indemnification in New York (as enunciated by the Court of Appeals since contribution between tortfeasors was first endorsed in Dole) is now clear in federal case law. Indemnity is no longer available under New York law where the proposed indemnitee bears fault for the injury for which it seeks indemnity. See Amusement Indus., Inc. v. Stern, 693 F. Supp. 2d 319, 326-27 (S.D.N.Y. 2010). LJN’s Product Liability Law & Strategy October 2012.
implied indemnification is available when “[a] person, in whole or in part, has discharged a duty which is owed by him but which as between himself and another should have been discharged by the other.” Courts previously recognized that there were two categories of cases where a duty is one that “should have been discharged by” another: (1) when there is an implied contract between the parties, and (2) when there was a “great disparity” between the fault of the two tort-feasors, referred to as “implied in law indemnity. However, as recent cases in this district make clear, New York courts no longer imply indemnification where there is a “great disparity” in the fault of the tortfeasors. Anderson at *21-22 (citations omitted). The case involving the Department of Sanitation employee, in essence, was a suit against his employer due to injuries caused by a defective product. (The plaintiff had a viable cause of action against the City, his employer, because Worker’s Compensation Law was inapplicable to the Department of Sanitation at the time.) As a result, common-law and statutory duties applied to the City (as an employer). The City, as an employer at common law, settled with the employee because of its non-delegable statutory and common law duties. The City, in turn, sought indemnification from the manufacturer. As the Anderson decision makes clear, vicarious liability is limited to specific relationships between parties (e.g., employer-employee, principal-agent) whereby one party’s liability is solely premised upon the conduct of the other party to the relationship. Greyhound had no legal basis to contend that it had “committed no wrong” and proceed against Goodyear on that basis, simply because it voluntarily settled with plaintiffs and was not found liable by a jury. Indeed, Greyhound was really seeking a determination that Goodyear was completely at fault, which was merely a 0:100 apportionment of liability. This was contribution, plain and simple. Were the court to have allowed Greyhound to proceed on that basis, every alleged tortfeasor who settles an action would claim “innocence” and proceed to trial in the hopes of passing on some liability to a joint-tortfeasor — an application that would nullify New York’s GOL. The Anderson case also makes clear that practitioners should not assume that a contractual provision that includes the term “indemnify” equates to a viable claim for contractual indemnification. Indeed, Greyhound had such a term in its contract with Goodyear. However, the court considered the contractual provision in its entirety and found there was no shifting of liability (the parties only agreed to bear their own losses). Thus, the contractual provision at issue called for nothing beyond contribution and was also barred. Greyhound’s cross-claims against Goodyear were dismissed on summary judgment with costs to Goodyear. Turning back to our opening hypothetical, based on the analysis above, you can safely recommend an early motion for summary judgment to dismiss the common law indemnification claim in New York. Moreover, if its co-defendant later settles the case, your client can take advantage of the GOL and move to dismiss the contribution claim as well. However, jurisdictional definitions vary. Illinois is similar to New York, requiring a pre-existing relationship between the parties such that indemnity can be implied. The party seeking to be indemnified must be “blameless though liable” through construct of law (e.g., strict liability, respondeat superior, implied warranty). Jinwoong, Inc. v. Jinwoong, Inc., 310 F.3d 962, 965 (7th Cir. 2002). Connecticut, on the other hand, still ascribes to the active-passive negligence test that was abandoned in New York with the conception of contribution. Skuzinski v. Bouchard Fuels, 240 Conn. 694, 697-98 (Sup. Ct. 1997). A special relationship between co-tortfeasors need not be established. Instead, the viability of common law indemnification as a claim turns on the question of whether the proposed indemnitor had exclusive “control” over the situation in order to be required to bear the entire loss. Id. Under most circumstances, this question is factual and cannot be determined at an early stage on summary judgment. Delaware has a fairly expansive definition, implying indemnification under a number of scenarios, including the failure to discover or prevent the misconduct of another. Lagrone v. American Mortell Corp., C.A. Nos. 04C- 10-116-ASB, 07C-12-019-JRS, 2008. Del. Super. LEXIS 321, at *26 (Sup. Ct. Sept. 4, 2008). The line between common-law indemnification and contribution can be murky and jurisdictional definitions (and statutory schemes) vary. It is, therefore, advisable to proceed with caution and familiarize yourself with the laws of the applicable jurisdiction before taking any affirmative action. Reliance upon the face of a contractual provision is also not sufficient. A deeper understanding of the effect of the provision is required to ascertain whether the remedy you seek is truly viable. As the Anderson decision makes clear, the failure to understand the difference between indemnification and contribution can have significant ramifications for your client.